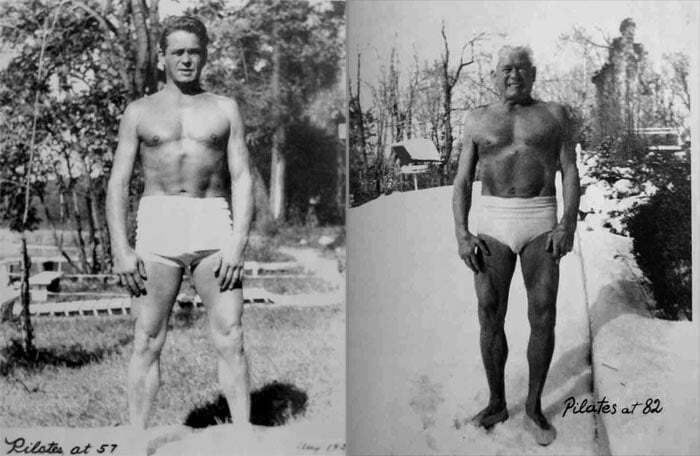 From a young sickly boy who was bullied in the 1880’s, to influencing a multi-million pound industry today, Joseph Pilates has revolutionised the perception of health and fitness. To this day, millions of people follow his practice and credit it to transforming their own health, fitness and lifestyle. In fact, the number of Americans who practice it regularly has exploded by over sixfold from 1991 to 2005 (from 1.7 million to 11 million). Have you ever wondered who is Joseph Pilates and what is the history of the Pilates exercise? Did you know that he was a circus performer? Or that we was bullied and ridiculed by bigger bullies as a child? Did you know he that was an accomplished boxer, skier, gymnast and even at yoga? Or that he attached bed springs to the headboards and foot boards of the iron bed frames to create resistance exercisers for the bedridden? Read on to learn more about Joseph Pilates’ fascinating life, and how Pilates became the popular phenomenon that it is today. Joseph Hubertus Pilates was born on December 9, 1883 in Mönchengladbach, Germany to a prize-winning Greek gymnast father and German naturopath mother who helped her husband with running the family gym. This combination of Joseph’s mother’s healing philosophy and father’s physical achievements has played a great part in his later ideas on therapeutic exercise. However, it was his experience as a small, sickly child in Germany that sealed his fate as a pioneer of health through exercise. Suffering from asthma, rickets and rheumatic fever, young Joseph was teased and bullied by bigger children. He even lost complete sight from his left eye at the age of 5, which was allegedly as a result of a stone wielded by one or more bullies. While many would have been crushed, Pilates took to the weights. He began to “re-educate” his body through bodybuilding, wrestling, yoga, gymnastics, skiing, boxing and martial arts. His brother, Frederick, also took a strong interest in self-defence. By 14, he had achieved an almost Adonis-like physique. and was posing as a model for anatomy charts. By his twenties, Joseph Pilates had studied and drew inspirations from Eastern practices and Zen Buddhism. He also became fascinated by the ancient Greek’s version of the perfect man in the development and balance of body, mind and spirit. Pilates was convinced that our modern lifestyle was anathema to that balance and to the attainment of physical and mental well being. So, he designed a series of vigorous physical exercises to correct muscular imbalances which would improve posture, co-ordination, balance, strength and flexibility. These, along with a focus on increasing breathing capacity, would eventually form the cornerstone of his method. 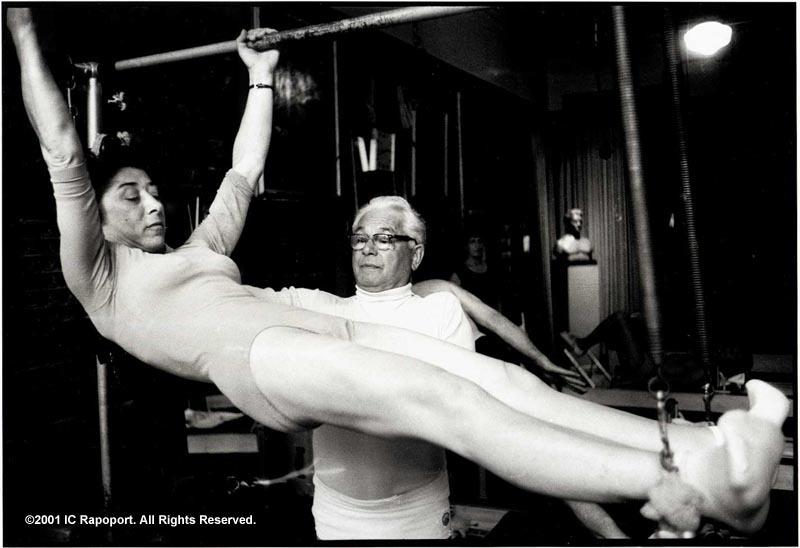 Joseph Pilates’ first steps into teaching was in pre-war England. His work as a circus performer and professional boxer was interrupted by an invitation from Scotland Yard to teach self-defence to policemen, and then by the outbreak of World War I. After interning in Lancaster, Pilates remained typically upbeat and taught exercise classes to his fellow prisoners. He even attached bed springs to the headboards and foot boards of the iron bed frames, turning them into ad-hoc resistance exercisers for the bedridden. Thus was the idea for his iconic spring-based exercise machines. 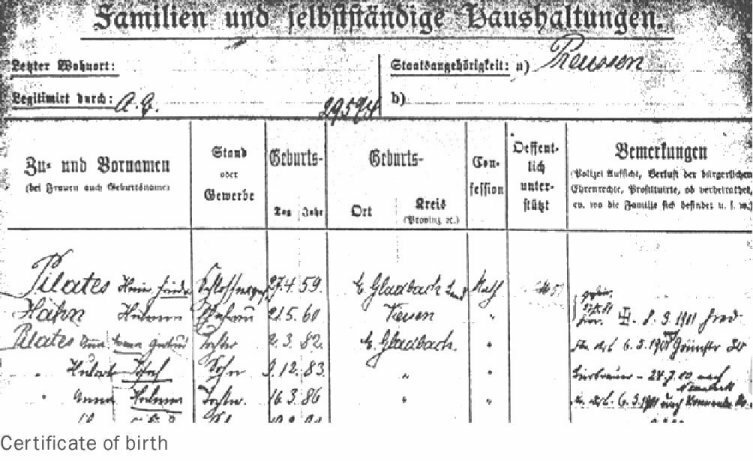 Even during the great flu epidemic of 1918, not a single prisoner under his care died. Upon returning to Germany, he further developed and enhanced his reputation as a physical trainer and healer. He briefly worked for the Hamburg Military, where he provided self-defence and physical training. In 1925, he was asked to train the German army, but instead he packed his bags and moved to the USA. There, he set up a fitness studio in Manhattan with his wife, Clara, whom he had met on the boat on the way to New York. “Contrology” was the name he gave his methods, reflecting his belief in the importance of the mind’s control over the body. Contrology was originally known to mostly dancers from the New York City Ballet who shared the Body Contrology Studio’s Eighth Avenue address. Some well-known early practitioners of Pilates include George Balanchine, a Russian-born ballet choreographer, and Martha Graham who is known for her contributions to modern dance. But thanks to Joseph Pilates’ self-confidence, and America’s growing interest in physical fitness, Pilates’ teachings began to catch on to the wider market. He taught in New York from 1926 to 1966. Joseph Pilates also wrote two books. His first book, “Your Health: A Corrective System of Exercising that Revolutionizes the Entire Field of Physical Education”, was published in 1934. A small book (around 64 pages), this is where he included theories and principles about fitness, where he drew on the concept of a balanced body. This book will cover his own observations and conclusions about people’s approach to physical fitness, which was light years ahead of everyone else at that time. From the results of decades worth of scientific study, experimentation and research, Pilates looked into the variety of troubles and illnesses that can upset the balance of body and mind. He also made extraordinary claims, and specifically defines the benefits of his ‘Contrology’ method for everyone. His second book, “Return to Life Through Contrology”, was published in 1945, which outlines his own approach to health and fitness. 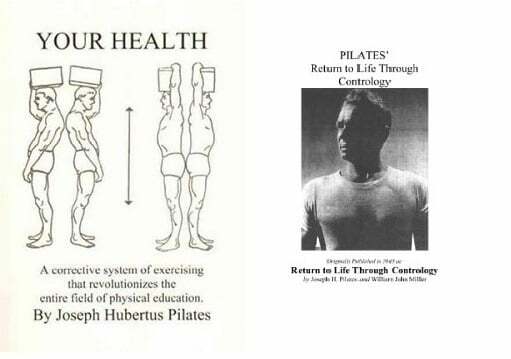 It is also a small book (around 84 pages), where Joseph Pilates covers breadth and power of the Pilates method by covering the philosophy and technique behind his Pilates method. He also outlines the effective and enduring approach to whole body health that is one of the fastest growing fitness trends in the world. The word “Contrology” is related to encouraging the use of your mind to control your muscles, this includes focusing your attention on the core postural muscles that help to keep the body balanced and provide support for the spine. So what exactly is Pilates? Well we know what it is not. The focus of Pilates is that what counts is not so much what you do, but rather how you do it. Pilates isn’t aerobics: it demands intense concentration and focus on posture, core muscles and breathing. It’s all about working smarter, not harder, where precision is everything. The spine, for Joseph Pilates, was the key to physical fitness – and by extension, emotional and psychological well being. He once famously said: “A man is as young as his spinal column”. Perhaps one of the most remarkable aspects of Joseph Pilates philosophy is that it was developed as a direct response to life in the first half of the 20th century – a golden age of physical activity compared to an increasingly sedentary 21st century lifestyle dominated by the computer. Joseph Pilates died on 9th October in 1967 at the age of 84. Throughout his life, he maintained a fit physique and kept himself in remarkable physical condition in his elder years. His wife, Clara Pilates, continued to teach and run his studio for another 10 years until she passed away in 1977. 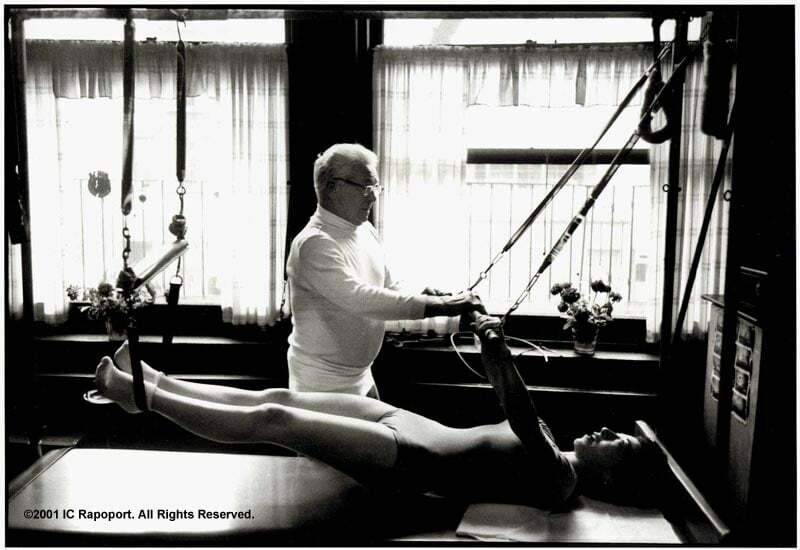 His legacy has continued to live on for many years thanks to the ‘Pilates Elders’; the first generation and original students of Joseph Pilates. Clara helped to pass on his methods to the Pilates Elders, and they also used and mastered his techniques before forming their own studios to teach the Pilates Method. Nearly 50 years after Joseph Pilates’ death there are Pilates classes all around the world, including our own Pilates holiday in Italy. We, here at Flavours Holidays, definitely agree on the heath benefits of Pilates having seen it in our own lives.